Employees are at the core of the corporate social responsibility efforts of organizations and managing a volunteer workforce is a requisite for maximizing these efforts. It is no news that Employee Volunteering Programs (EVP) promise inspiring global impacts. Embracing EVPs provides organizations with an opportunity to magnify their impact on society and realize business benefits. In addition, businesses with established employee volunteering programs can augment the business brand, enhance employee well-being, and improve leadership skills. More than business well-being, according to various studies, EVPs tend to impact the well-being, engagement and experience of employees positively. 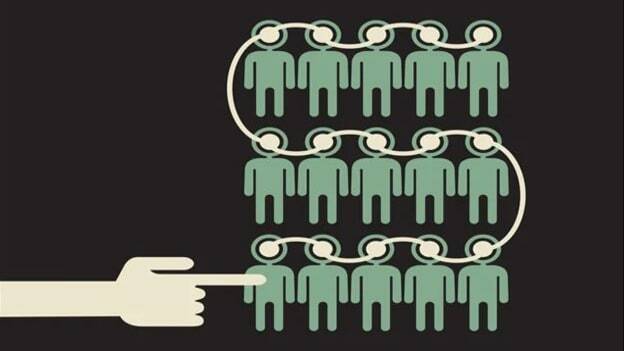 According to a study, there exists a strong link between volunteering and employee development. While there exists a correlation between employee volunteering and employee engagement, research shows that seven out of ten people who volunteer never come back. Thereby, diminishing the energy and sustainability of the volunteering program. Hence, a thoughtfully structured and employee-centric volunteering plan can build sustained, collective action and generate enormous creativity. 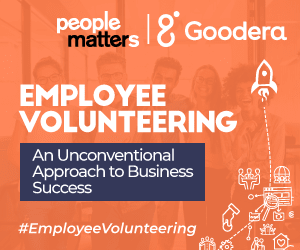 A similar thought was echoed in a recent roundtable hosted by People Matters and Goodera, “Designing volunteering experiences for your workforce”. The various discussions held at the event aimed at answering many questions related to employee volunteering like - what does a successful employee volunteering campaign look like; what kind of planning sets it apart; what are the defining elements of a sustainable EVP, etc. Aditya Nagpal shared the five lessons that should be useful to organizations who are interested in engaging volunteers. Ad-hoc volunteering activities by individuals or teams are not sustainable unless volunteering is blended into the culture of the organization. A clear intent behind employee volunteering needs to be prioritized within the company. It is essential that the board identifies and acknowledges the benefits and impact of volunteering programs on the company, its employees, and the community. Would they require volunteering time-off or should they manage it during non-working hours? The success of any volunteering program is unrealizable without the right management tools and partner. Identify a comprehensive platform that can handle the multiple features of your program all in one place, operated by a partner that doesn’t just provide software but services as well. A robust technology and informed partners are critical to program management as they will help you plan and accomplish every aspect of your program. Once you decide the plan, execute a communication and promotion campaign. The exercise is vital to keep employees informed and engaged throughout the volunteering journey. The three defining elements of communication and promotional engagement are timeliness, consistency, and precision of a message or collaterals you use. Physical collaterals like posters, banners, etc. Encourage your team to share their volunteering stories and takeaways, and then circulate those stories to inspire others to get involved. By creating a rich narrative around the difference your employees are making in your community, employees will feel they are active in your volunteer program. This sense of achievement and inspiration will sustain and augment your program. Implementing a gradual process that matures over a period and involves building a relationship with the right partners is key. Any good volunteering program must also incorporate the views of all stakeholders within the company. When done well, engaging employees in volunteering programs strengthens a company’s relationship with the community, demonstrates its values, builds leadership skills and encourages teamwork within the organization and makes an impact on the issues that the company is attempting to address.